Raleigh, NC — Just as they did in 2009 at IRONMAN 70.3 Augusta, Laura and Greg Bennett both won the same 70.3 race, as the couple took home the inaugural IRONMAN 70.3 Raleigh today. Laura (USA) used her Olympic leg-speed for a come-from-behind victory on the run with a time of 4:17:18, while Greg (AUS) took control of the race early on the bike and never looked back, crossing the finish line in 3:51:24. In the men’s race, TJ Tollakson (USA) set the pace in the water, exiting Jordan Lake with a three-second advantage over Bennett. Henry Hagenbuck (USA) was next to hit the boat ramp, 2:10 off the lead pair’s pace, while the remainder of the field found themselves starting the bike with over a three-minute deficit. Bennett took the lead in the early miles of the bike and built on it through the 56-miles of rural road. Tollakson managed to stay close to Bennett over the opening half of the ride but, by T2, the lead was up to 3:52, with the remainder of the field another five minutes behind. Bennett, a former Olympian himself, put his short-course run speed to good use, outpacing the entire field. Tollakson faded out of podium-contention in the second half of the run. In the end, Paul Eicher (USA) and Kyle Pawlaczyk (USA) worked their way into second and third. Bennett’s 1:17:22 run split got him to the line 13:17 ahead of Eicher, with Pawlaczyk another minute behind. On the women’s side, Laura Bennett exited the water with the fastest pro swim, earning a lead of 1:34 over Anna Cleaver (NZL) and 1:49 on race-favorite Emma-Kate Lidbury (GBR). 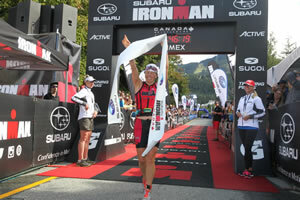 Melanie McQuaid was next out, 3:44 back, while the rest of the field was over six-minutes behind. 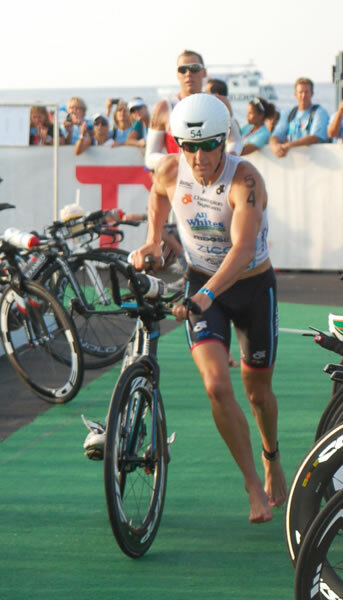 Lidbury worked her way into the lead during the first half of the bike – she was up by four seconds at the halfway point and expanded that lead to two minutes by T2. McQuaid found herself 3:28 down, with the rest of the field all over ten-minutes behind. Four miles into the run Bennett had eliminated all but three seconds of her deficit as she ran just off Lidbury’s shoulder. A couple of miles later Bennett was clear, running a minute ahead of Lidbury, with McQuaid trailing six minutes behind. In the end, Bennett finished in 4:17:18, with Lidbury 3:57 behind in second. McQuaid rounded out the podium just under 10 minutes back. 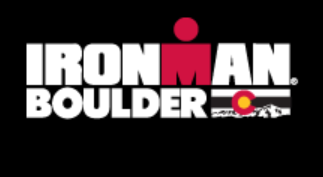 One of nearly 60 events in the global IRONMAN 70.3 Series, IRONMAN 70.3 Raleigh led athletes along a 1.2-mile swim, 56-mile bike and 13.1-mile run on a course that utilized a variety of Chatham and Wake Counties scenic areas. The one-loop swim took place at Lake Jordan State Park. After transitioning at Vista Point, athletes biked through eastern Chatham County, southwest Wake County and the town of Holly Springs before ending the 56-mile ride at Duke Energy Center for the Performing Arts in downtown Raleigh. Competitors finished the race with a 13.1-mile, out-and-back run that highlighted some of the city’s most famous landmarks, including the State Capitol, Hillsborough Street, North Carolina State University and Meredith College campuses and the North Carolina Museum of Art. The race finished downtown at City Plaza on Fayetteville Street. 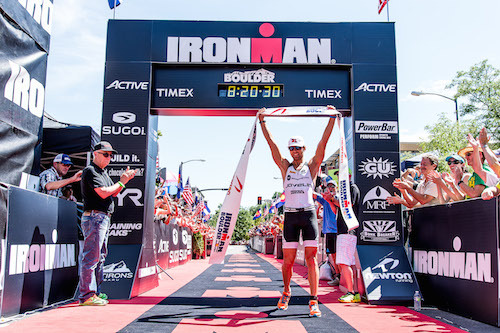 The event offered a total professional prize purse of $15,000 and 50 coveted age-group slots to the 2013 IRONMAN 70.3 World Championship, taking place on Sept. 8 at Lake Las Vegas in Henderson, Nevada.